To become the preferred leading Bakery / bread producer with a global network that complies with safety and service quality standards. It’s about doing something different and believing in it enough to make it work. In 2005, Davics Bakery opened its first location on a quiet street corner in the heart of Port Harcourt City’s Oroigwe Village. From its inception, Davics Bakery has been cherished for its classic fresh baked goods, vintage equipment and warm, inviting atmosphere. 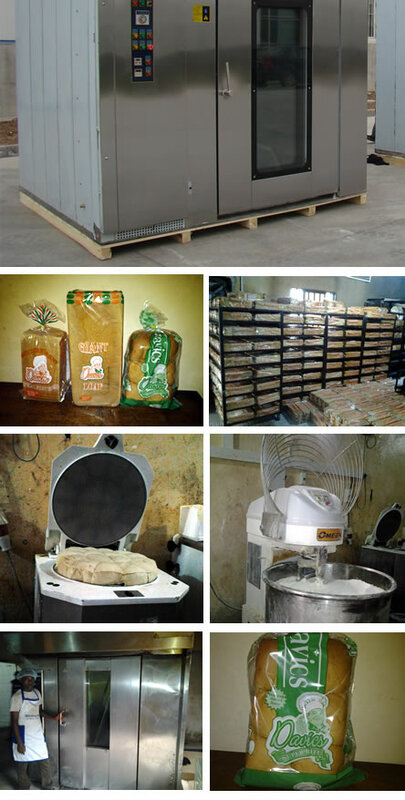 In 2013, Davics Bakery expanded to Lagos and plans to go farther. We’re an artisan bakery in Nigeria. We think bread is beautiful. We love how it looks, smells and feels, and of course we love how it tastes. We love the tradition and the skill that goes into baking it, and the never-ending quest for the finest ingredients. We have been working with traditional craft bakeries for over nine years in Port Harcourt, Rivers State, Nigeria and now in Lagos. These masters of baking produce some of the finest breads and pastries we have ever tasted. On many occasions, whilst sharing these delights with friends and family or using the bread at corporate events, so many people have enquired where these products can be sourced. We at Davics Bakery, are delighted to be able to give you all the opportunity to indulge yourself in the freshest baked bread in your own home. Nothing beats the simple pleasure of good bread, we believe it’s something everyone deserves to enjoy, every single day. Davics Bakery will deliver delicious bread and patisserie to you. The items are all individually baked and wrapped, so all you have to do is to eat your own delicious freshly baked treat or to serve to guests. How much simpler could it be! Follow us to be part of the journey.